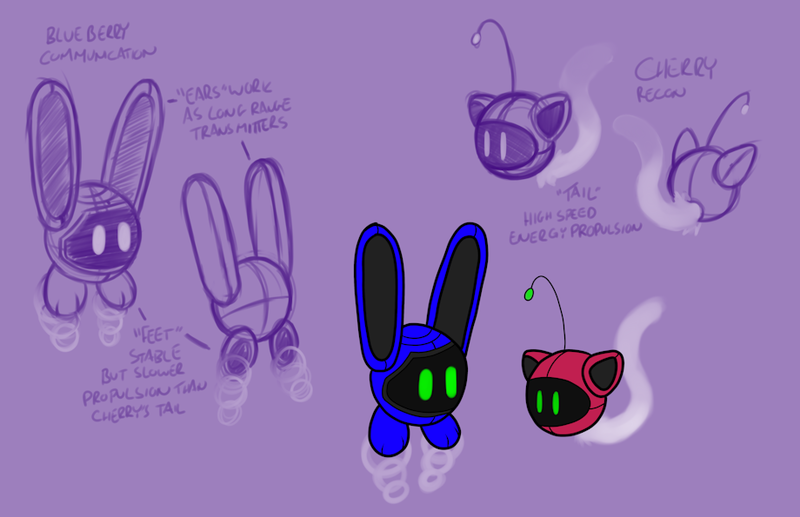 designing and fleshing out the helper bots and Brenda's spaceship form. My baby boy, Blueberry, is so formal. Guess that's to be expected, he's programmed for etiquette and such. And Cherry's so flighty and bubbly, bit of an airhead.